Where Are The Community Enterprise Lawyers? Bronwen Morgan, Wednesday, 16th November 2016 - Following the landmark Australia We Want report, Bronwen Morgan, professor of law at UNSW, explains why for-purpose businesses need greater legal support in their efforts to make Australia a better place. What Kind of New Economy Do We Want From the Next Government? 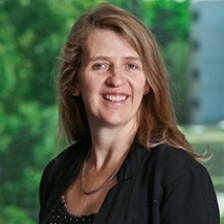 Bronwen Morgan, Wednesday, 18th May 2016 - Australian politics must respond to current pressures with collaboration and creativity, rather than pitting economics against society, writes Bronwen Morgan, Professor of Law at UNSW Australia.